The practice of aromatherapy involves the use of highly concentrated, volatile plant oils (called "essential oils") to promote wellbeing. Each plant has distinct aromatic compounds that give the plant its characteristic scent. In order to be called an essential oil, the oil must be extracted through a unique process. Different parts can be used, such as the flowers, leaves, fruit, bark, and roots, depending on the plant. The use of plant essential oils dates back to ancient Egypt, India, and China. French chemist Rene-Maurice Gattefosse first coined the term "aromatherapy" in his 1937 book Aromathérapie after witnessing first-hand the benefits of lavender essential oil. Today, aromatherapy is widely practiced in North America and Europe, and is often integrated into massage therapy and other spa treatments, candles, and body care products. When an essential oil is inhaled, the scent molecules enter the nasal cavity and stimulate the limbic system, a region in the brain that plays a role in emotion and behavior. The molecules also stimulate the nervous system, which helps to regulate heart rate, blood pressure, stress, and breathing. When used topically, the scent molecules are absorbed through the skin and inhaled. Aromatherapy massage over the abdomen may help to relieve menstrual pain, according to a report published in Complementary Therapies in Clinical Practice in 2017. Researchers analyzed previously published clinical trials and found that aromatherapy massage improved menstrual pain compared to massage without aromatherapy. Inhaling the scent of an essential blend may reduce anxiety in women undergoing breast biopsy. In a study published in Worldviews on Evidence-Based Nursing, women were given the lavender-sandalwood blend, an orange-peppermint blend, or a placebo. There was a reduction in anxiety with the use of the lavender-sandalwood blend. Aromatherapy may reduce post-operative nausea and vomiting, according to a 2013 study published in Anesthesia and Analgesia. Researchers found that nausea was significantly reduced after aromatherapy with ginger essential oil or a blend of essential oils of ginger, spearmint, peppermint, and cardamom. The use of essential oils was also associated with fewer requests for anti-nausea medication. A study published in Complementary Therapies in Clinical Practice in 2016 evaluated the effectiveness of lavender aromatherapy on pain, anxiety, and satisfaction in people getting an intravenous (IV) catheter before surgery. Participants used either lavender essential oil or a placebo. After the procedure, pain and anxiety in those using lavender oil were lower than in those who had used the placebo. Satisfaction with the IV procedure was higher in participants who had used lavender oil. Essential oils can be added to a diffuser (a device that disperses the oils into the surrounding air). There are many types of diffusers, including ceramic, reed, and ultrasonic diffusers. Jewelry diffusers, such as necklace and bracelet diffusers, are also available. The most common topical use is in massage oil. Some people add a drop or two of an essential oil to a warm bath. Essential oils are available in shampoo and skin care products. Essential oils can be toxic when taken internally. In addition, some individuals may experience irritation and contact dermatitis when applying essential oils to the skin. A skin patch test should be done before using any new essential oil. Essential oils should not be applied at full strength to the skin, used in excessive amounts, or used for a prolonged time. Besides skin irritation and contact dermatitis, essential oils are absorbed through skin and can be toxic. Oils should always be diluted in carrier oils. Pregnant and breastfeeding women and children should consult their primary health care providers prior to using essential oils. Learn more about how to use essential oils safely. If you're considering trying aromatherapy for a condition, be sure to consult your health care provider first to discuss whether it's appropriate for you. From lavender essential oil to tea tree essential oil, there is a wide range of scents that are used in aromatherapy. Some scents are considered relaxing, while others invigorate. 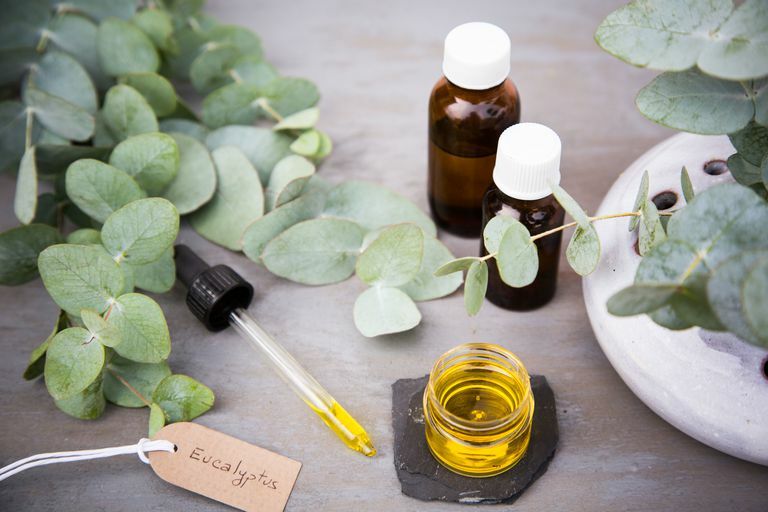 Whether you're interested in using essential oils at home or getting an aromatherapy massage, consulting a trained aromatherapy practitioner can help match you with the appropriate oils and blends. Hunt R, Dienemann J, Norton HJ, et al. Aromatherapy as treatment for postoperative nausea: a randomized trial. Anesth Analg. 2013 Sep;117(3):597-604. Karaman T, Karaman S, Dogru S, et al. Evaluating the efficacy of lavender aromatherapy on peripheral venous cannulation pain and anxiety: A prospective, randomized study. Complement Ther Clin Pract. 2016 May;23:64-8. Trambert R, Kowalski MO, Wu B, Mehta N, Friedman P. A Randomized Controlled Trial Provides Evidence to Support Aromatherapy to Minimize Anxiety in Women Undergoing Breast Biopsy. Worldviews Evid Based Nurs. 2017 Oct;14(5):394-402.